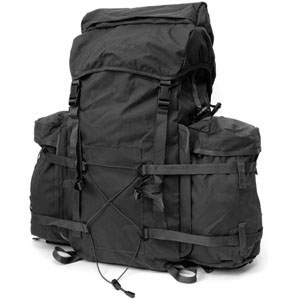 The Snugpak Bergen enjoys all the same features as the Rocket Pak but with a hefty 70 litre central compartment. Two removable rocket pouches (each 15 litres) - these are compatible with the issue PLCE system or the separately available Snugpak Yoke to make a handy 30 litre daysack. Heavily padded air permeable back system for comfort and back protection. Contoured heavily padded chest straps faced with textured high wicking fabrics. Zipped compartment on top and bottom. Bottom compartment also houses a roll-away detachable waterproof cover in the same matching colour.